The VS450 is a unique, non-contact color measurement instrument for measuring color accuracy of a variety of wet and dry samples including cosmetics, paints, plastics, powders and food. 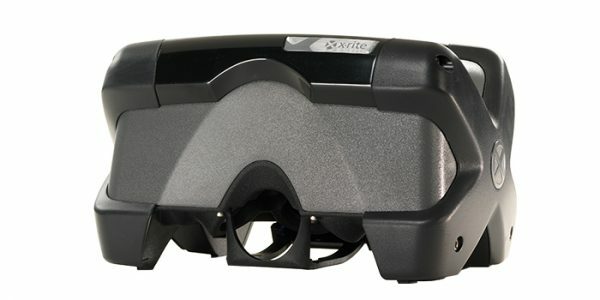 The X-Rite VS450 is unique in the market as the only benchtop sphere spectrophotometer that operates in a non-contact mode. In addition, it can measure a sample from a distance without being affected by ambient light. The VS450 is ideal for measuring wet samples, large or bulky items, or substances such as food that would require a protective barrier for conventional measurement. In many laboratory and manufacturing processes, it is beneficial to measure wet samples to make a wet-to-wet comparison as a proxy for a final dry-to-dry comparison. This can save as much as 24 hours of wait time while samples dry, enabling operators to make changes in production quickly, reducing scrap and making production more efficient while delivering better color accuracy. Better control day-to-day color production with a defined, standard procedure that saves time, cost and effort. Establish a “wet tolerance” that wet samples need to meet in order to produce a good result in a final dry-to-dry comparison, saving as much as 24 hours waiting for samples to dry in the lab and in production. In combination with Color iMatch, measure samples and use the adjust feature to compensate for the difference in appearance between wet and dry standards for more accuracy and significant time savings. Use this non-contact instrument to measure large or bulky items or materials such as food that may require a protective barrier when using a contact instrument that can affect measurement accuracy. Benefit from minimal maintenance requirements since optical system never comes in contact with samples and thus remains uncontaminated. The X-Rite VS450, combined with Color iMatch and/or Color iQC software, solves color measurement problems that have been an issue until now. Accurate measurement of wet or dry samples, samples that cannot come in contact with the device, and samples that change appearance when pressed behind glass or other presentation devices can now be measured in their natural, unaltered state, just as the human eye would see them.